Pathos InPol Remix MkII is a fully-balanced pure 'Class A' integrated amplifier incorporating the latest generation double InPol circuitry, available in a selection of colours with or without an optional DAC. Pathos InPol Remix MkII is a fully-balanced pure 'Class A' integrated amplifier incorporating the latest generation double-InPol circuitry. The digital bias/gain set technology with intelligent control is entrusted to the same microprocessor which regulates the volume ensuring efficient performance of the amplifier and its ability to drive the loudspeakers. The optional HiDAC 24-bit/192kHz internal D/A converter module adds two balanced (XLR), two coaxial (S/PDIF), and one digital (USB 2.0) connections. The upgraded HiDac EVO performs at 32 bit and 384KHz due to the new ESS 9018 k converter for better, easier and more complete enjoyment of digital music. Evo incorporates a web application letting you control the DAC through a PC as well as to connect a hard disk and a Wi-Fi dongle directly to the unit transforming into a music centre. The HiDac EVO converter fully meets the demands of music lovers who want the best from the latest digital sources controlled via smartphone or tablet. InPol (Inseguitore Pompa Lineare - Linear Pump Follower) is a hugely successful and multi-award winning system patented by Pathos Acoustics. Inpol devices have an exceptional sonic personality owing to this particular circuit design - fully balanced in Class A using a single solid-state component in follower configuration, with high current gain and with voltage gain together. The valve amplifier strengthens the input signal voltage and InPol supplies the current to drive the loudspeakers without any further amplification. In this way the signal is entrusted to the valves and becomes a true copy of the original with all the quality, purity and harmonic content intact. 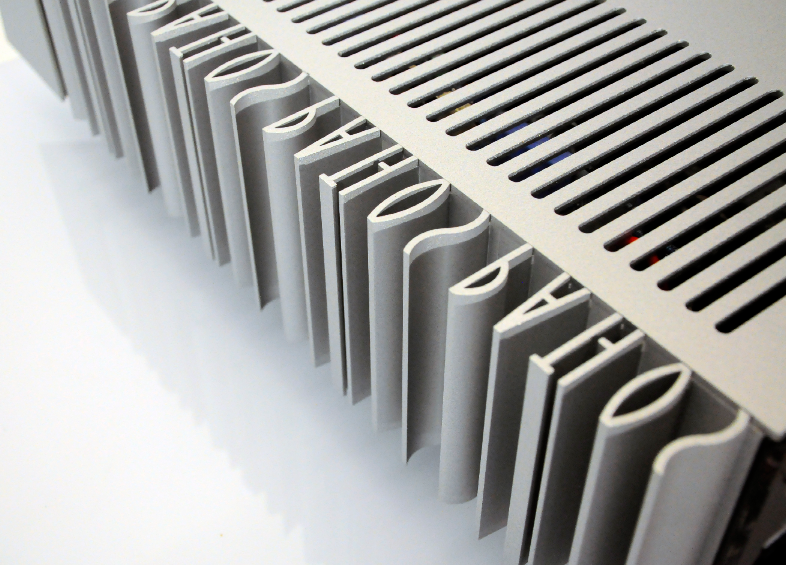 The central part of the chassis is carefully finished, while the lateral heatsinks, shaped to form the Pathos logo, make a strikingly attractive statement and serve to highlight the carefully protected valves placed in the centre of the chassis. The elegant appearance is inherited from the ClassicRemix, with its compact dimensions making this a piece of audio equipment unique in its class. InPol Remix raises the musical listening experience to the highest level, thanks to Pathos` audio design and engineering, along with the use of highest quality components.